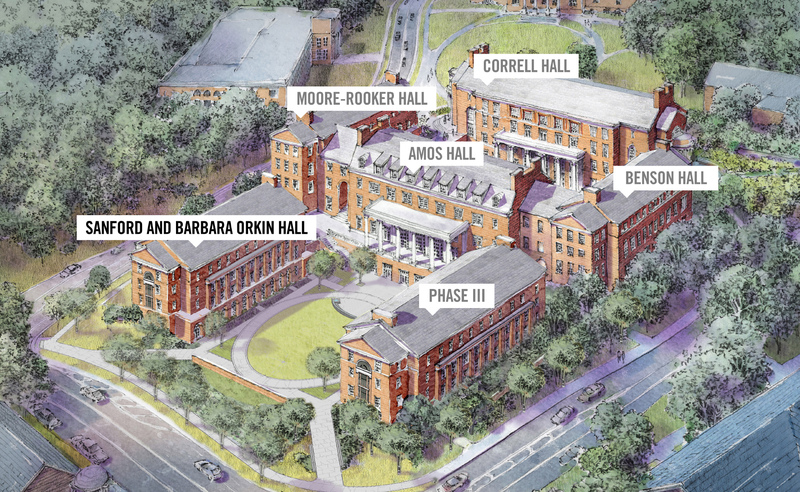 The next building to become part of the University of Georgia Terry College of Business will be named for Sanford and Barbara Orkin of Atlanta. The University System of Georgia Board of Regents has approved naming one of the two buildings currently under construction in the third and final phase of the Business Learning Community for the Orkins in recognition of their longstanding support of UGA, including a $5 million gift to the Terry College of Business. The building to be named Sanford and Barbara Orkin Hall—located at the corner of Baxter and Hull streets—will include a large auditorium, undergraduate classrooms, a behavioral lab, a computer lab for marketing research, interview suites and faculty and administrative offices. Sanford and Barbara Orkin both attended UGA. Drafted into military service while still a student, Sanford Orkin joined his family’s pest control business after returning from the Korean War and served as president. Following the sale of Orkin Pest Control to Rollins Inc. in 1964, he maintained real estate and business interests in Atlanta and volunteered his time and support to UGA in numerous ways, including as a trustee of the UGA Foundation and UGA Real Estate Foundation. “Barbara and I love the University of Georgia and are so pleased to continue our support of its academic mission to educate future leaders for the state and nation,” Sanford Orkin said. 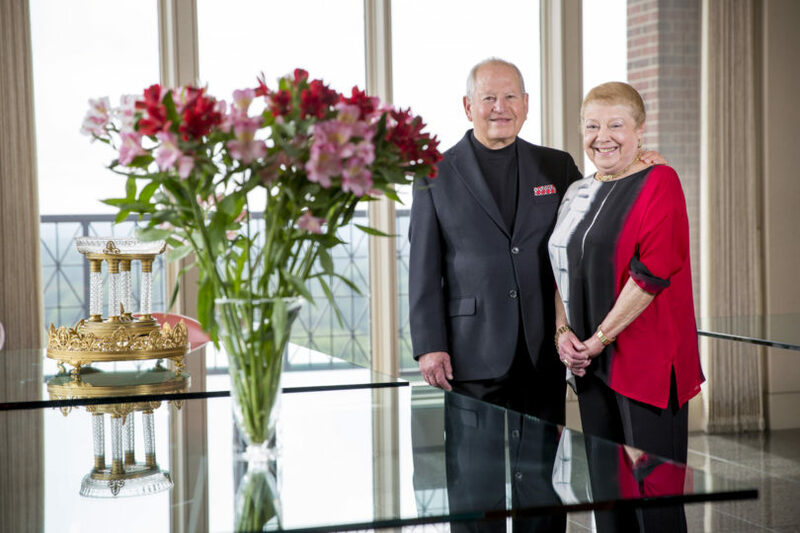 The Orkins’ most recent gift extends a remarkable legacy of giving to UGA. The couple has endowed a $1 million scholarship fund for low-income students, a Georgia Research Alliance Eminent Scholar position in the Center for Tropical and Emerging Global Diseases and supported the School of Law, the College of Education, the Carl Vinson Institute of Government, the College of Public Health, UGA Athletics and other academic initiatives. Phase III of the Business Learning Community is currently under construction. Phase II was completed in 2017. The university broke ground on Phase III construction of the Business Learning Community in October 2017 after the dedication of Amos Hall, Benson Hall and Moore-Rooker Hall. Terry College faculty and staff moved into the Phase II buildings last summer, and classes began this past fall. Phase I (Correll Hall) was funded entirely by private contributions and opened in 2015. Phase II and III are the result of a public-private partnership between the state of Georgia and hundreds of donors. The Business Learning Community represents one of the largest capital projects in the University System’s history.